Roberto Gallardo, assistant director of the Purdue Center for Regional Development at Purdue University and a national authority on the use of technology for economic development in rural areas, will headline the Radically Rural Summit on Friday, Sept. 28. Radically Rural is a two-day summit expected to attract 500 people from New England, the Northeast and across the country who are passionate about creating vibrant, robust rural communities and eager to learn, connect and lead change. The Hannah Grimes Center for Entrepreneurship and The Keene Sentinel are partnering to present Radically Rural, which will be held in Keene, Sept. 27-28. Dr. Gallardo’s presentation, “Rural Renaissance and Digital Parity” will explore how the digital age can eliminate density and geographic proximity requirements that were so critical during the industrial age. Gallardo has worked with rural communities over the past decade conducting research and developing strategies for local and regional community economic development, including use of technology for development. He has authored more than 70 articles regarding rural trends, socioeconomic analysis, industrial clusters, the digital divide, and leveraging broadband applications for community economic development. He is also the author of “Responsive Countryside: The Digital Age & Rural Communities,” which highlights a 21st century community development model that helps rural communities transition to, plan for, and prosper in the digital age. Gallardo has served as a TEDx speaker and his work has been featured in WIRED magazine. 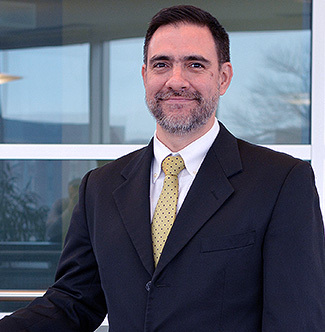 In addition to serving as assistant director of the Purdue Center for Regional Development, Gallardo is also a Purdue extension community and regional economics specialist. He holds an electronics engineering undergraduate degree, a master's in economic development, and a Ph.D. in public policy and administration. For more information and to register, visit radicallyrural.org.